Sunday was the fifth anniversary of this Commonplace Blog. My very first post, appropriately enough given my sworn allegiance to him, was a review of Philip Roth. Few people read it, although I was happy and relieved to publish it here. Or perhaps it was merely that, when my family escaped Houston for a few days at a Jewish youth camp in the Hill Country, it did not occur to me to take any theory along for the ride. Instead I immersed myself in Roth’s new novel Indignation, and having finished it much too quickly, borrowed my wife’s copy of The Brass Verdict by the crime novelist Michael Connelly. Back-to-back reviews to commence my career as a book blogger. I’d been writing book reviews professionally—that is, for low pay—since 1981, when I reviewed Philip Appleman’s Shame the Devil for New York Newsday. Within two years I had attracted the notice of Mel Watkins, the editor of the New York Times Book Review, who put me to work writing short assessments of the novelists that more prominent critics wanted nothing to do with—Katherine Govier (my first), Sheila Bosworth (my first jacket blurb), Whitney Strieber, Jack Higgins, James Alexander Thom, Ernest K. Gann. When Mr Watkins left the Book Review in 1985 (I could never bring myself to call him “Mel”), the new editor quietly dropped me as a regular contributor. For the next two decades I reviewed little fiction. My PhD was in the history of criticism, especially the history of American criticism, and The Elephants Teach, my first book, was intended as a contribution to that subject. My original intent, when I had gone off to Northwestern University, was to write a biographical and critical study of the writers grouped around Yvor Winters—his wife Janet Lewis, his best and most famous student J. V. Cunningham, and writers largely forgotten and not typically associated with him, including John Williams, the author of Stoner. 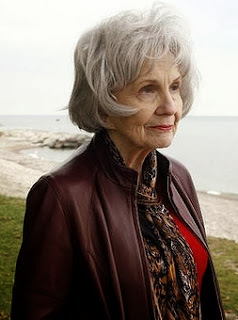 I wanted to bring some attention to obscure poets of moving perfection—Helen Pinkerton, for example—and I planned to call my book Peers of Tradition. The phrase was Cunningham’s. The idea was what set these writers apart. But though Gerald Graff, my PhD advisor, had himself studied under Winters at Stanford, he vetoed my project. Jerry was working on the book that would become Professing Literature, the first history of English departments in America, and I was enlisted to assist him on the research. He suggested that I write a sort of companion volume. Thus was my story of creative writing workshops, in print for seventeen years now, first conceived. (1.) Review of Tim Winton’s novel Breath, probably because the novel’s subject (surfing) causes my review to pop up in search engines. (3.) “Darlings of Oblivion”—a reflection on cancer and the small struggles of daily living, inspired by a phrase from Nabokov. (4.) My most popular list—“The 10 Worst Prize-Winning American Novels of All Time.” From Jerzy Kosinski to John Updike. That two of the five are reviews or review-essays is oddly cheering. Book pages may be dying (and they never gave their reviewers enough space or pay to begin with), and reader reviews may be squeezing out professional reviewers, but I remain convinced that readers are starved for intelligent and serious book-talk. I am proud to have contributed my share over the past five years. 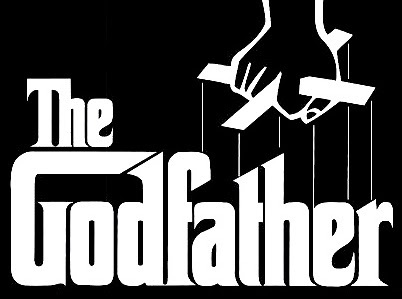 Yesterday the Powerline blog—a politically conservative blog out of the Twin Cities—linked to my essay on Mario Puzo’s novel The Godfather. Over a thousand first-time readers descended upon A Commonplace Blog, although few lingered long enough to poke around in the remains of my literary thought. One who did was the photographer and printmaker William Porter, who had been a classics scholar in another life. From 1979 to 1982, he had held a Mellon postdoctoral fellowship in Renaissance studies at Brandeis University. It was there that he became friends with J. V. Cunningham. Porter soon discovered Cunningham’s significance to me as well. Four-and-a-half years ago on this blog I published my notes from a course in the history of literary criticism that Cunningham taught at Washington University in St. Louis, where he was the Hurst Visiting Professor in 1976. (I also reproduced a rare early photograph of Cunningham.) And of course I have repeated to anyone who would listen that John Williams’s brilliant minor novel Stoner, a testament to the scholarly life, is based on the life and personality of JVC. For me too he wrote a recommendation, and though I doubt that it helped me very much—by the time I entered the profession of English in the late ’eighties, he was considered a reactionary by those to whom he was not obscure—the letter was precious to me. I have always wished I could use one line of it as a blurb to all my writing: “Mr Myers,” he said, “writes a prose that is always distinctive, and sometimes even distinguished.” Anyone who knows anything at all about Cunningham knows just how high this praise is. After having such a thing said about me (and by him! ), there was no possible way for me to stop writing. Porter himself turned away from the life of scholarship a decade and a half ago. “I wanted to stop reading other people’s footnotes,” he says, “and didn’t fancy lecturing Honors freshmen on Homer and Sophocles.” I have read few indictments of the humanities at the turn of the century that are more devastating, and in fewer words. Cunningham would have admired its epigrammatic quality. Harried by student complaints that my grades are too low and the Jewish holidays are “too many,” I am tempted to follow Porter into a less puerile life. To live without him, liked it not, and died.Cunningham read my pitiful effort aloud to the class and said, “In twenty-five years of teaching, this is the best wrong answer I have ever received.” Porter’s reaction to my anecdote is worth quoting in full:“The best wrong answer I have ever received.” Sounds just like the man. Seems to say very little, but in fact prompts one (well, if one is attentive) to start wondering about lots of things. That’s what I remember about my conversations with him. There was a lot of silence, but when talking was done, he’d let me do more than my share. This of course encouraged me to think what I was saying must be interesting or important. And then he’d drop some little comment that would keep me awake at night for a week. Without a doubt the most efficient teacher I ever knew.Yes, exactly. Every word of Cunningham’s was measured. (The pun is intentional.) His speech was as packed and pointed as his famous epigrams. (See here and here and here for examples.) He never belabored a point, because he expected you to reach the understanding, upon further reflection, that what he said was necessary and true. Cunningham’s comment in class has kept me awake for three and a half decades. Only after corresponding with William Porter, though, did I realize the meaning of his “prompt” in my life. In one sentence, Cunningham defined the scholarly life. It is not a matter of formulating correct answers, which is something that undergraduates, with their obsession over grades, cannot seem to grasp. It is a matter of so inhabiting other men’s minds, other men’s time, that your wrong answers are very nearly their own thinking. I have never become disgusted with “other people’s footnotes,” because I have never wasted much attention upon them. I have been distracted by greater minds. Of course, I’ve never had a very successful academic career, and this in part is why. Despite my professional failure, though, I have remained in the university to pursue a scholarly life. And why? Because the difficulty of entering greater minds, whether they are the founders of creative writing or the Roth to whom I keep returning, is a challenge that has never grown stale for me. There are only so many footnotes that a person can read. There are, however, an inexhaustible number of lines of verse to get almost right. The reshaping of American literary culture from the early 1950’s to the early 1970’s might be captured in one historical image. James Jones’s From Here to Eternity, the massive blockbuster about the Regular Army in the last months before Pearl Harbor, was awarded the 1952 National Book Award in fiction. Not quite two decades later, Mario Puzo’s The Godfather was not even nominated. Joyce Carol Oates was honored for Them, her long aimless narrative of poor whites adrift in riot-torn Detroit. Puzo had treated the Mafia in his novel in much the same way that Jones had treated the army—as an autonomous social institution with its pressures for conformity, where there is no place for a man with any real integrity. And like Jones, Puzo fills his pages with man after man—dozens of them, including the occasional woman—all of whom are distinct individuals, with individual histories and traits. No character is introduced without a backstory and a chapter to himself. This is the method of the blockbuster. In 1952 it was possible to win a major American literary award with a naturalistic blockbuster; by 1970 a novel had to be a “holy vessel of the imagination” to receive official recognition. If it is read at all any more, Puzo’s The Godfather is probably read as the “novelization” of Francis Ford Coppola’s famous film of the same title, which was rated the third greatest American film of all time. It took Coppola three years to bring the novel to the screen (or about the same length of time that Fred Zinnemann took to film From Here to Eternity). According to literary gossip, Puzo molded and trimmed his work-in-progress to satisfy the demands of Paramount Pictures. If there is any truth to the rumor, however, it is startling that the most important scene in the novel, in which “Don Corleone gave the speech that would be long remembered” and in which “he coined a phrase that was to become as famous in its way as Churchill’s Iron Curtain”—the phrase that inspired the dust jacket illustration by S. Neil Fujita that was reproduced on the movie posters—only makes it into the film version in heavily abbreviated form. After the Don is shot on the streets outside Genco Olive Oil, after Michael Corleone guns down the police captain Mark McCluskey and the drug smuggler Virgil Sollozzo, after Sonny Corleone has been murdered in retaliation, Vito Corleone calls a meeting of New York’s Five Families with “invitations to Families all over the United States” in order to sue for peace. The meeting is filmed by Coppola, and so too is the Don’s speech. But its central passage is not recorded:Let me say that we [in the Mafia] must always look to our interests. We are all men who have refused to be fools, who have refused to be puppets dancing on a string pulled by the men on high. . . . Who is to say we should obey the laws they make for their own interest and to our hurt? Sonna cosa nostra . . . these are our affairs. We will manage our world for ourselves because it is our world, cosa nostra. And so we have to stick together to guard against outside meddlers. Otherwise they will put the ring in our nose as they have put the ring in the nose of all the millions of Neapolitans and other Italians in this country.Coppola does not include this speech, because it does not express his message. Coppola’s message is delivered by Al Pacino (in “a part too demanding for him,” according to the late Stanley Kauffmann). When Michael Corleone returns from hiding in Sicily after the murders of Sollozzo and Captain McCluskey, he finally goes to see his old flame Kay Adams. Michael tells her that he is working for his father now. “But I thought you weren’t going to become a man like your father,” Kay says; “you told me.” “My father's no different from any other powerful man,” Michael replies—“any man who’s responsible for other people, like a senator or president.” “Do you know how naïve you sound?” Kay asks with a smile; “senators and presidents don’t have men killed.” “Oh,” Michael says; “who’s being naïve, Kay?” Or, in other words, Gay Talese had it right after all. The Mafia differs from the U.S. government only in the extent and reach of its power. This is a view that can be enjoyed by libertarian and political radical alike, but it is not the view of Puzo’s novel. In the novel, Michael’s speech to Kay is rather different:You’ve got the wrong idea of my father and the Corleone Family. I’ll make a final explanation and this one will be really final. My father is a businessman trying to provide for his wife and children and those friends he might need someday in a time of trouble. He doesn’t accept the rules of the society we live in because those rules would have condemned him to a life not suitable to a man like himself, a man of extraordinary force and character. What you have to understand is that he considers himself the equal of all those great men like Presidents and Prime Ministers and Supreme Court Justices and Governors of the States. He refuses to accept their will over his own. He refuses to live by rules set up by others, rules which condemn him to a defeated life. But his ultimate aim is to enter that society with a certain power since society doesn’t really protect its members who do not have their own individual power. In the meantime he operates on a code of ethics he considers far superior to the legal structures of society.I’d be tempted to characterize this view as fundamental to Italian fascism if Benito Mussolini had not been an intense and triumphant foe of the Mafia and its “separate authority.” At all events, it is not a view that is affirmed by Mario Puzo. In a small passage tucked away in a seemingly unimportant scene, Puzo makes his own view clear in his own voice. In contrasting Sonny Corleone to his brother-in-law Carlo Rizzi, Puzo writes that Sonnywas a man who could, with the naturalness of an animal, kill another man, while [Carlo] himself would have to call up all his courage, all his will, to commit murder. It never occurred to Carlo that because of this he was a better man than Sonny Corleone, if such terms could be used;a better man, even if he also beats his wife. (Puzo could not get away with such a distinction in 2013.) The mere fact that Carlo Rizzi recognizes a moral authority that is separate from his own, if only in restraining him from murder, means that he is a moral advance over Sonny. The Mafiosi may consider themselves “far superior” to the rest of society, but by Puzo’s lights, they are lesser men. 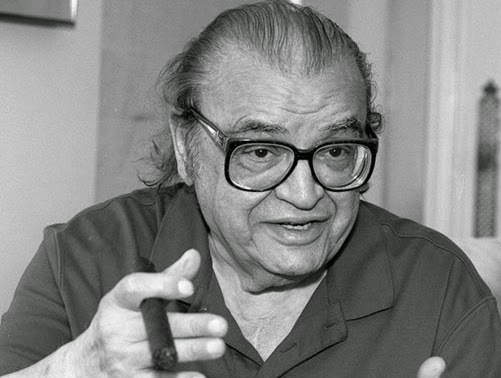 Puzo’s prose rarely flashes, but it rarely loses it balance either. The Godfather may not have been the best American novel of 1969, or even the third best (although it is easily better than Oates’s Them and two other novels nominated for the National Book Award, including Leonard Michaels’s Going Places and Kurt Vonnegut’s dull and tendentious Slaughterhouse-Five), but it remains a novel worth reading, if only for its ambition of copia or completeness. The Godfather is a full picture of the Mafia, but it does not glamorize it. Puzo represents the Mafia as the social institutionalization of violence. This is not an accidental feature of “refusing to live by rules set up by others,” but its very essence. Nor does Puzo suggest a superficial and sloganeering moral equivalence between the Mafia and governments or businesses. His Mafia is a unique institution that uniquely degrades men, when it does not murder them. * Raffi Magarik, a graduate student in English at Berkeley and a regular reader of A Commonplace Blog, writes to register his unhappiness with this phrase: an institution not immediately associated with the degradation of man. I admit to not being entirely pleased with it myself. What I was thinking is that (a.) prior to Puzo’s novel, the Mafia was not usually thought of as a social institution, and (b.) in Mafia fiction, it is more usually associated with beatings and murder than with human degradation (and certainly not the degradation of the men who become Mafiosi). Magarik mentions W. R. Burnett’s Little Caesar (1929), perhaps the only earlier American novel about the Mafia. It chronicles the rise of Rico (a character modeled on Al Capone) from mob gunman to mob chieftain. From first to last, though, Rico remains a sociopath. He is vain about his hair, proud of his ability with a gun, and fair in splitting the take from robberies with his subordinates. His rise to power does not degrade him, however; he seizes an opportunity and holds on to power through violence. Puzo was the first American novelist who understood the Mafia as something different from a mere criminal gang—a complex social organism with a “separate authority” and its own code of ethics. His Mafia, in fact, differs only in social detail from James Jones’s army. Magarik concludes, rather brilliantly, in my opinion, that your politics may determine whether you prefer Puzo’s Mafia or Coppola’s. Coming to the novel and film from my left, he concludes that “the Coppola is better than the Puzo just because the mob seems, on its own terms, too easy a target for naturalistic critique.” As a conservative, I prefer Puzo’s moral vision.